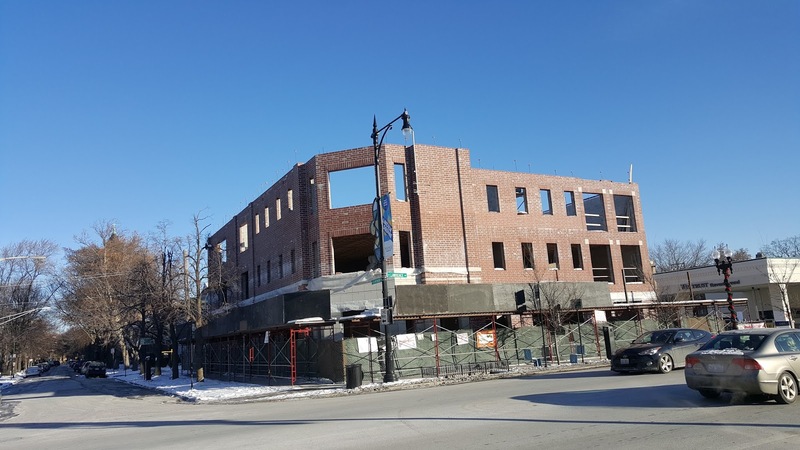 New condos at 5061 N Lincoln Avenue rise from the former one story commercial building. A similar building is going up just a block south near Western Avenue. 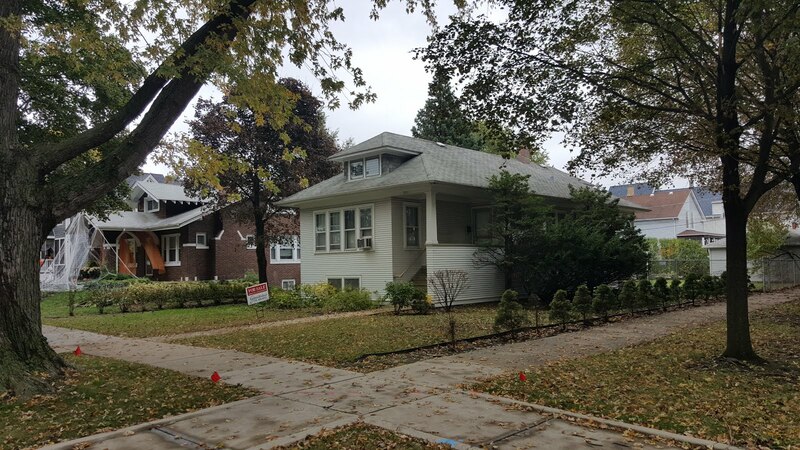 A quirky double lot property (red fence) hangs on. A frame home sits back deep on the lot. 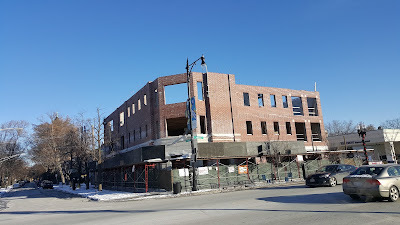 The development at Lawrence and Oakley is coming along in the former Wintrust Bank parking lot. 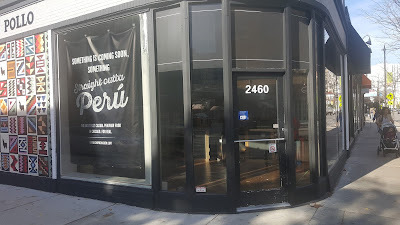 For quite some time in recent years there were no new condos to buy or new apartments to rent in Lincoln Square. We may have had a three year run (2009-2011) after the 2008 housing crash with no new units built. 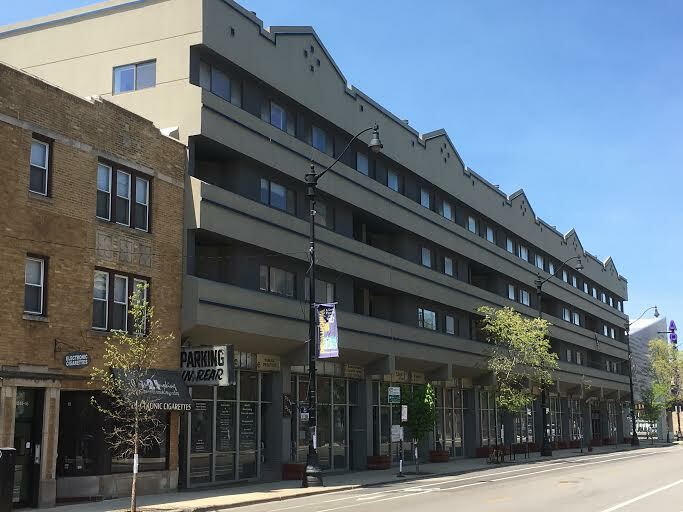 Since 2012 it has become more and more common to see new units added to this thriving Chicago neighborhood on every major throughway. Damen, Lincoln, Western and Lawrence continue to evolve with residential units. 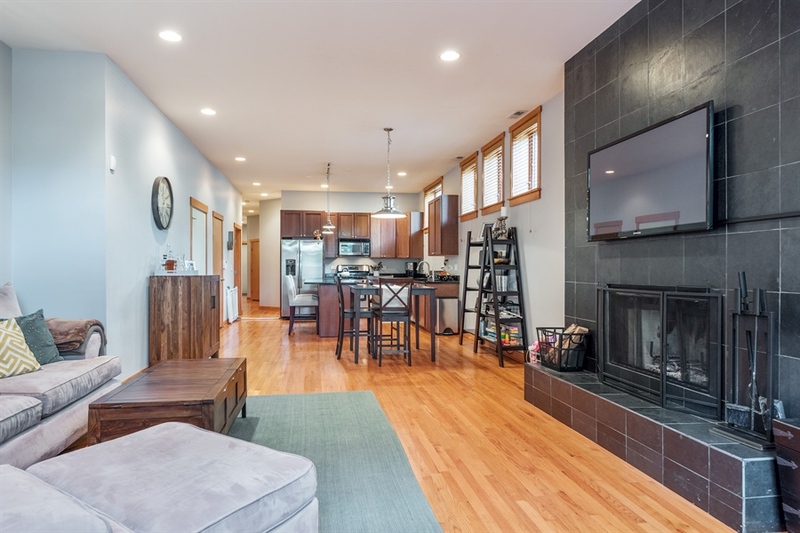 Watch the video walk-through of our latest sale at 2623 West Logan Boulevard, #1W Chicago IL 60647. 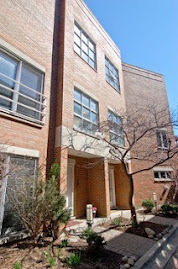 We just represented our sellers in closing their three bedroom Logan Square condo today. The newer construction garden unit at 2623 West Logan Boulevard #1W surpassed all comparable unit closing prices at $320,000. More photos and information here. Thank you to our repeat seller clients. 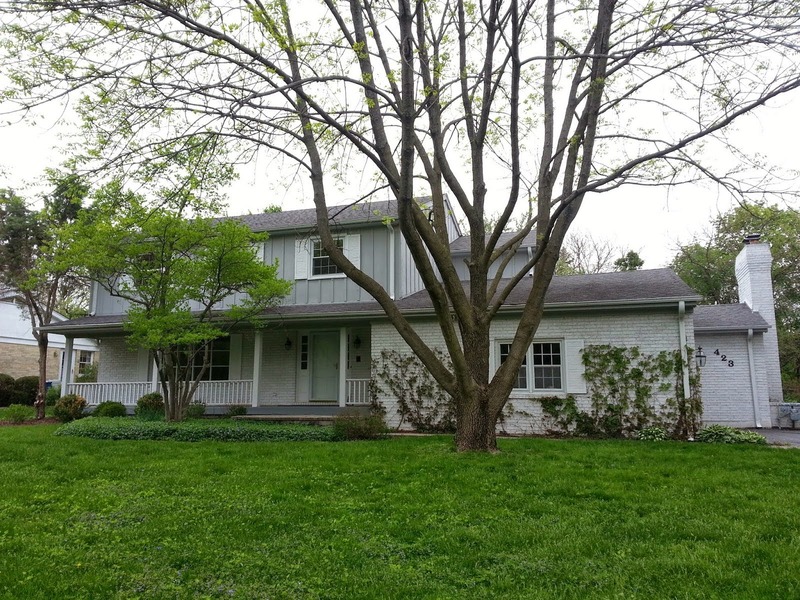 We've helped them sell investment properties and buy their primary home over the years. From prepping units for sale to the final walk-throughs and closings we have enjoyed each and every project! 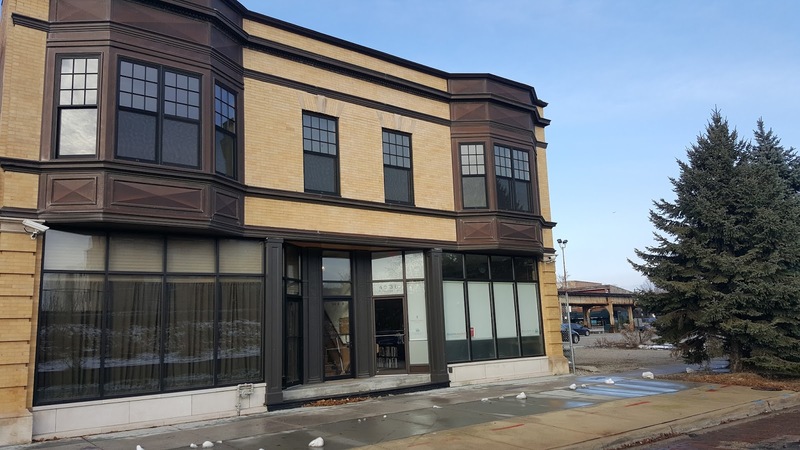 11 condo units have closed on historic Logan Boulevard with a median price of $360,000. 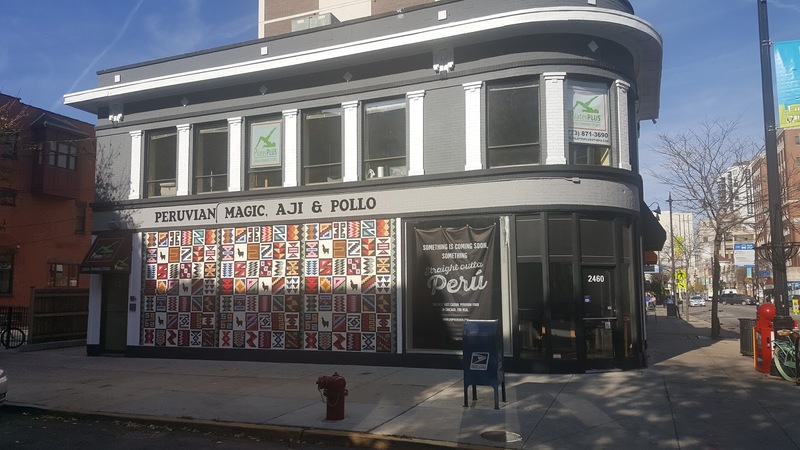 The lowest priced sale is 3003 W Logan Blvd Unit 1, Chicago, Illinois 60647 a two beds, one bath vintage home with no designated parking for $235,000. 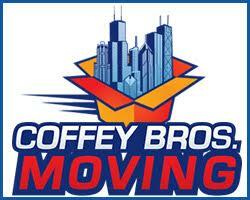 The highest priced sale is 2949 W Logan Blvd Unit 1, Chicago, Illinois 60647 for $550,000. 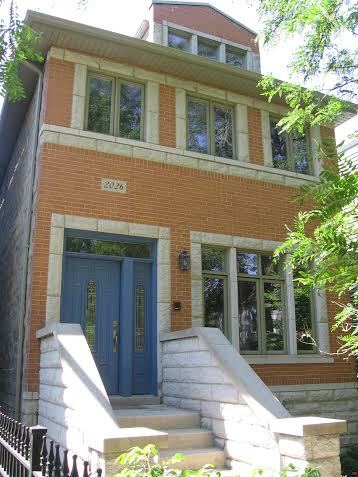 The large 4 bedrooms duplex down is in a quintessential Logan Boulevard grey stone building. Lake View, Lincoln Park whole condo buildings bought to "go rental"
Our office chatted about a Crain's story today reporting the possible "de-conversion" of 420 West Belmont in East Lake View. The 50 year old high-rise condo building may have been sold to investors that will convert the condos back to rental units. Other than the number of units involved (207) a de-conversion to rentals is not unusual in this market. 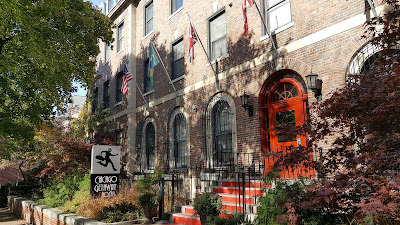 75% of the condo owners must vote to sell the building as a whole with proceeds paid out as a percentage of ownership. 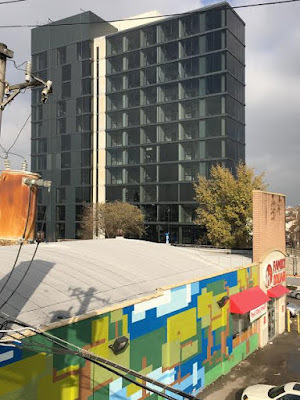 Crain's pointed out in December 2625 N Clark Street was purchased for $35 million to convert to rental (subscription required). 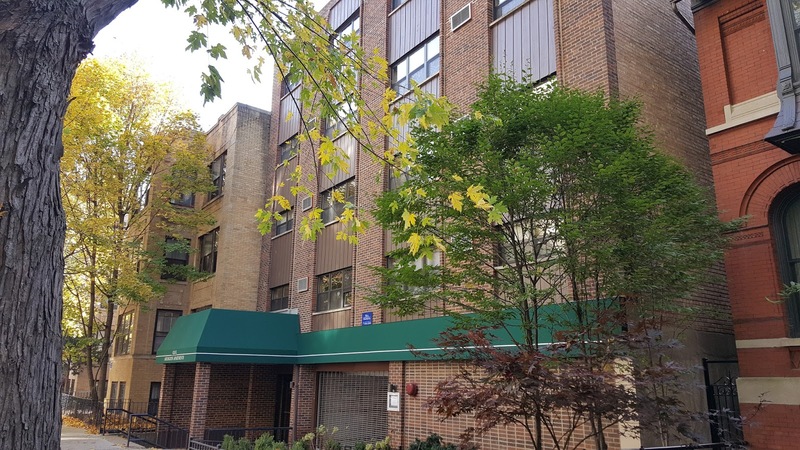 133 units were sold with an average price of $263,000 a unit according to their report and $6 million will be invested for renovations. 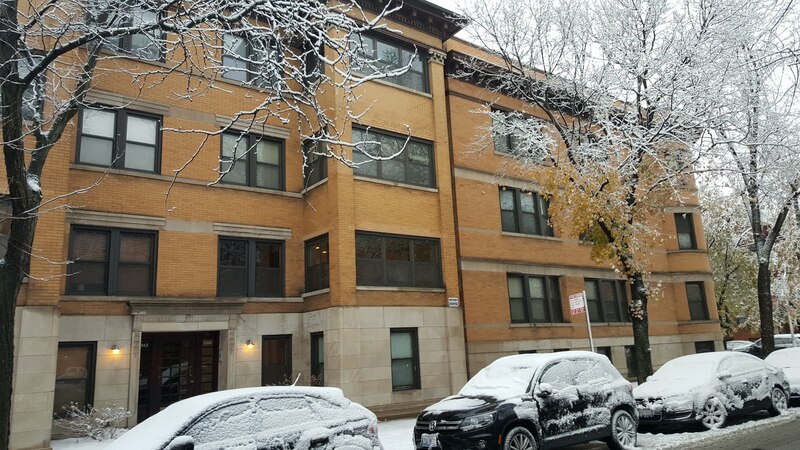 The last MLS listed property to sell on the market at 2625 N Clark was a one bedroom condo Unit 1108 for $172,000 cash closed on January 29th. That's a nice return for about 10 months! Two other one bedroom units sold near the end of 2015 for an average of $160,000. They stood to sell for $100K net profit over individual sale market rates if they held on one year. We've blogged about another dramatic "de-conversions" in Lincoln Park. The infamous Lincoln Centre Condos (30 units and retail space) shown above were purchased for over $11 million dollars in 2015. 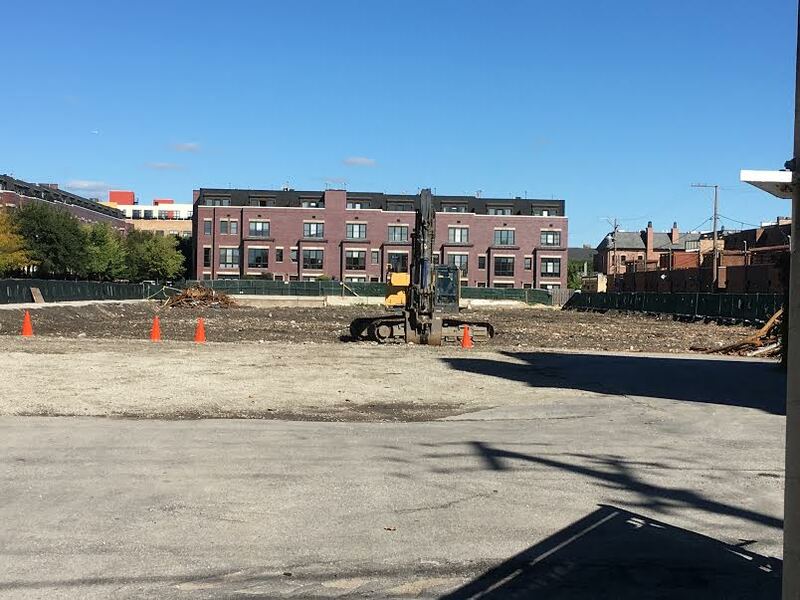 The building has been torn down to build 191 new rental apartment units. 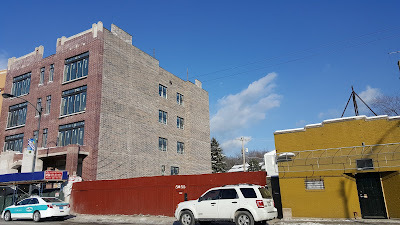 The entire condo building at 555 West Arlington in Lincoln Park was "sold to a developer for land value". 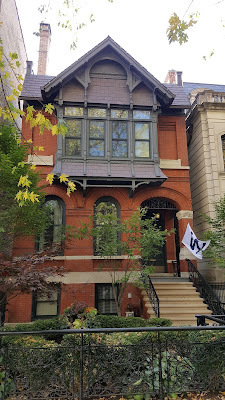 Another recent Lincoln Park de-conversion I've come across is 555 West Arlington in the gorgeous Deming-Arlington Historic District. 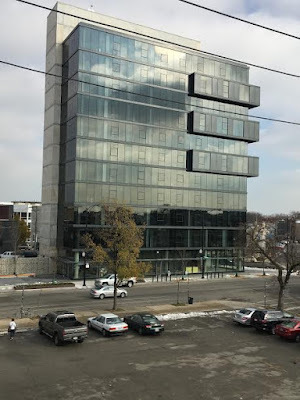 The 36 unit 1960s condo building with unfortunate architecture was "sold to a developer" for "land value" earlier this year. 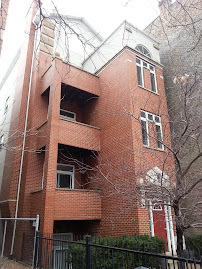 MLS and Recorder of Deeds records show last unit sales to the developer in the mid $300s for one bedroom condos. 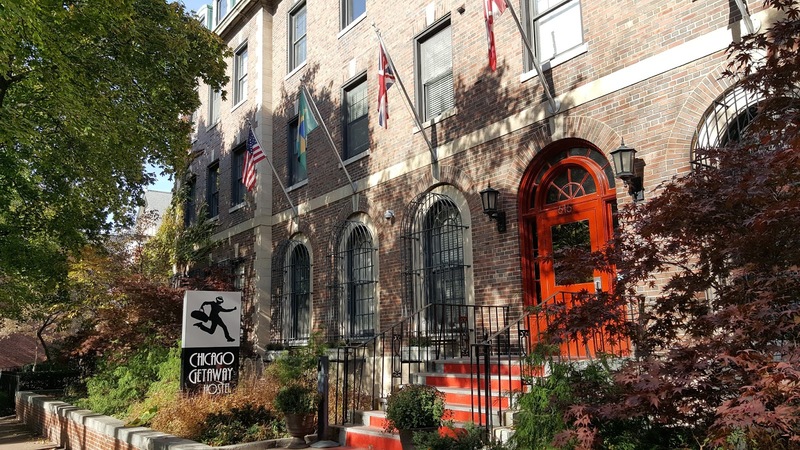 $100-$200K above the market rate prices for individual market rate condos in the building. 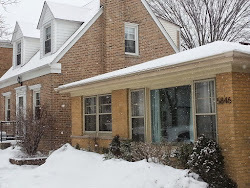 I do not have the sales price of 555 West Arlington at this time but a mortgage was taken out for almost $17,000,000 per Cook County Recorder of Deeds records. A $7,000 electrical wiring permit and $50,000 alteration permit was issued for the building which suggests they will refurbish and rent out the units. 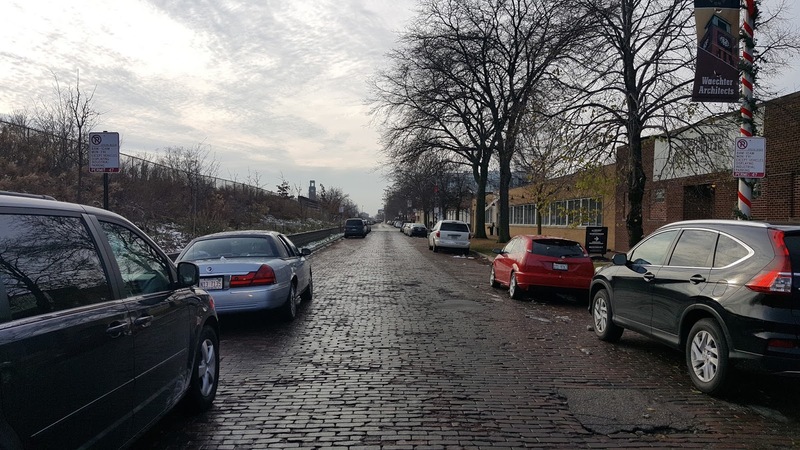 We have one client and their condo board in North Center who have discussed selling their whole building so they may receive much higher sales prices than their individual condos would achieve. It is on the table for this spring. 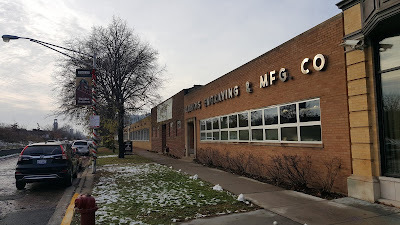 Curbed pointed out a cool new Transit Oriented Develop proposal in Ravenswood last month. 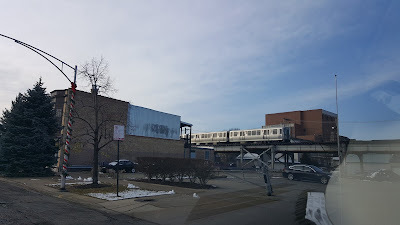 I stopped over to check out the site recently after my routine morning trip to the nearby Mariano's. 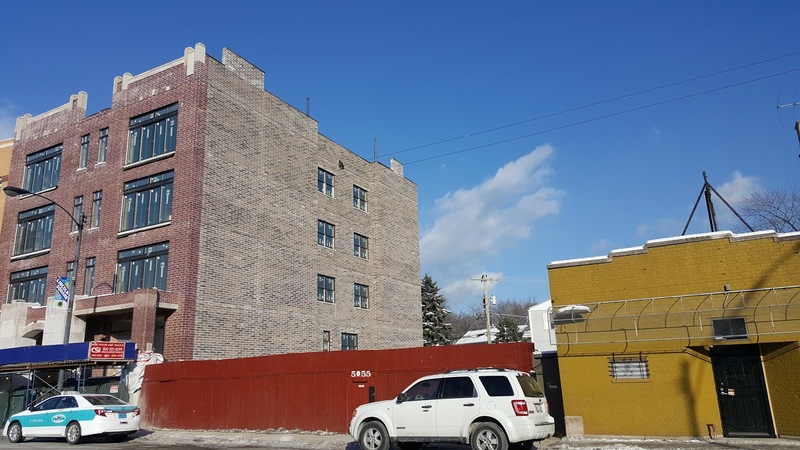 4540 to 4542 North Ravenswood would be home to new, modern 9 unit mixed use built on a vacant double lot. A parking lot to the north will remain. So will the "L" tracks behind lolz. The cobblestone block is mostly home to one story commercial buildings (looking south). 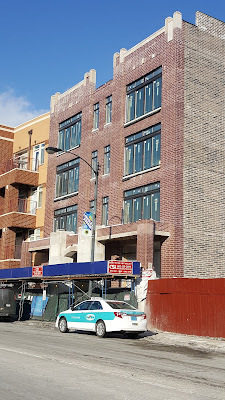 The existing two story building just south of the proposed development. 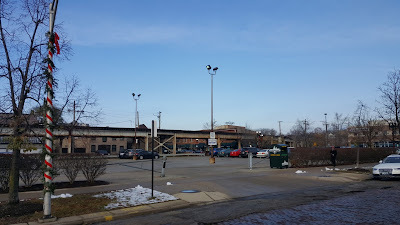 A large parking lot to the north of the proposed development. Mariano's and LA Fitness on West Lawrence in the near distance. Metra embankment and tracks across the street to the east. The site is near the corner of Wilson and Ravenswood. 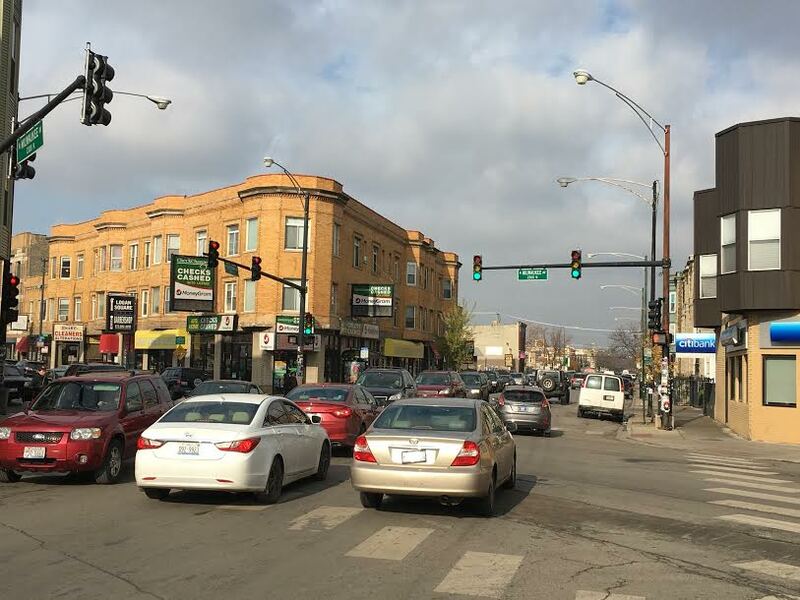 There are plenty of restaurants, bars, services and businesses to walk to... not to mention the Montrose CTA Brown Line and Ravenswood Metra station. Streetsblog Chicago writes a ton on TOD projects. There are a handful of condo buildings and town home developments within a few blocks of this new proposal. Attached unit median sales price is around $400,000. 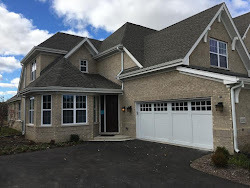 The most recent and immediate sales have been existing re-sale units. 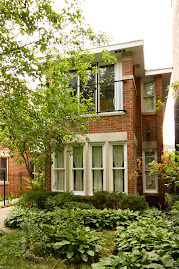 A brick two-flat in nice condition at 5070 N Ravenswood recently sold for $670,000 on an oversized 30'x175' lot. 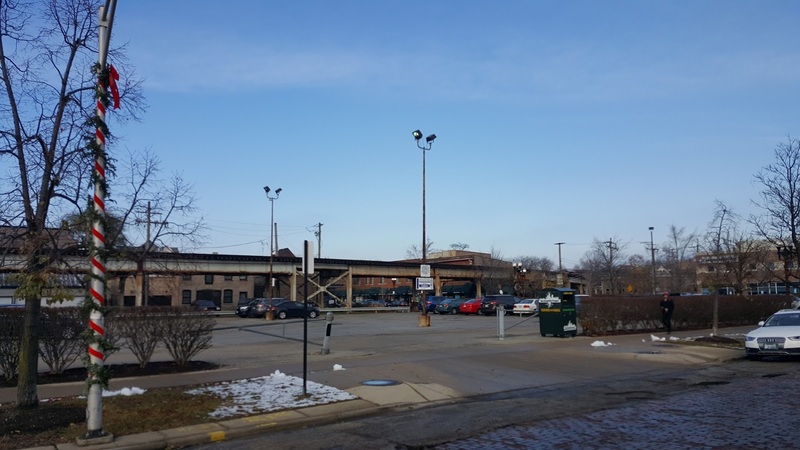 There are relatively few residential units along North Ravenswood itself from West Irving Park Road to West Lawrence. 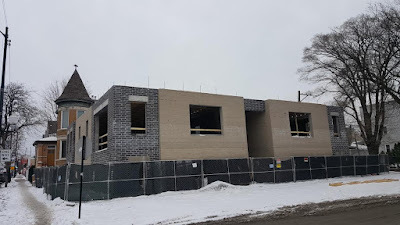 Density of condo units, single family homes and mulit-units picks up north of Lawrence (4800 North). I retweeted this $50 million single family home listing in Lincoln Park. Meanwhile this week in NYC... $61 million for a penthouse closed this week. 432 Park Avenue is the tallest residential building in the Western Hemisphere. Great deal with a listing price of $76.5 million. All this and not nearly the most expensive unit in NYC. We took a few shots this week of the new MiCa Chicago at 2733 N Milwaukee Avenue in Logan Square. MiCa is an early entry - in a series of large Milwaukee Avenue developments - that extremely changes the street-scape. The 216 unit rental building has current units available ranging from $1,695 for a studio apartment to $3,345 for a three bedroom unit according to their web site. 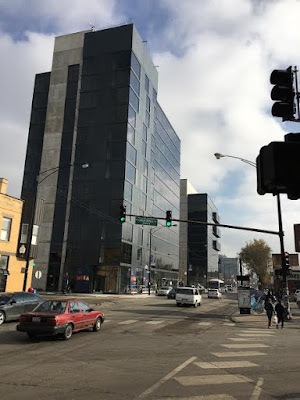 The "Transit Oriented Development" building is a couple blocks from the Logan Square CTA Blue Line. 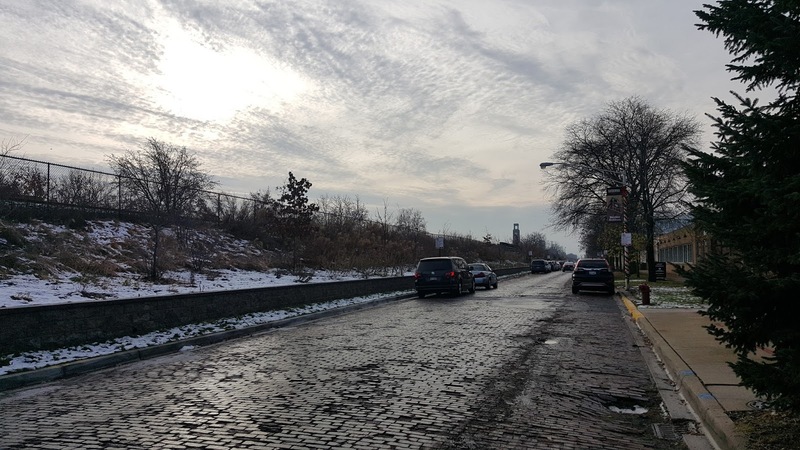 We have sold properties nearby the development and have clients looking for a single family home in the area. The rental density will be good for a vibrant business environment that, in return, will strengthen home values. 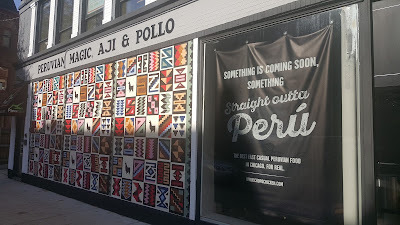 The Lincoln Park Patchwork mural on at the construction site late November. 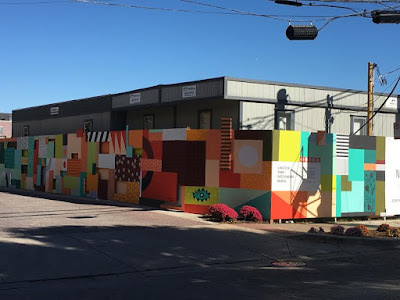 The developer is using the construction fence for a sort of crowd-sourcing Lincoln Park mural project. There is some 'splaining and a video here. I love public art around the city and advocate for more. This project, well, is a little lost on me. We're looking in greater Bucktown / Wicker Park of West Town above - generally Armitage to Chicago Ave and 90/94 to Western Avenue. 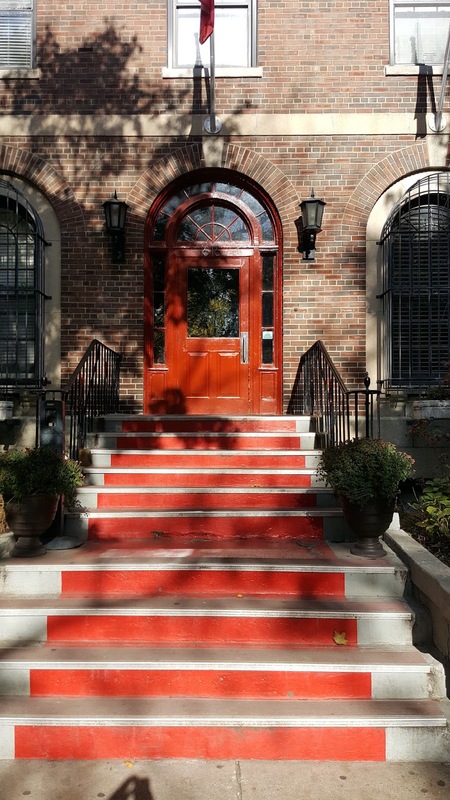 We have clients looking for a "move-up" single family home in the Bucktown/ Wicker Park area where they currently own a condo. 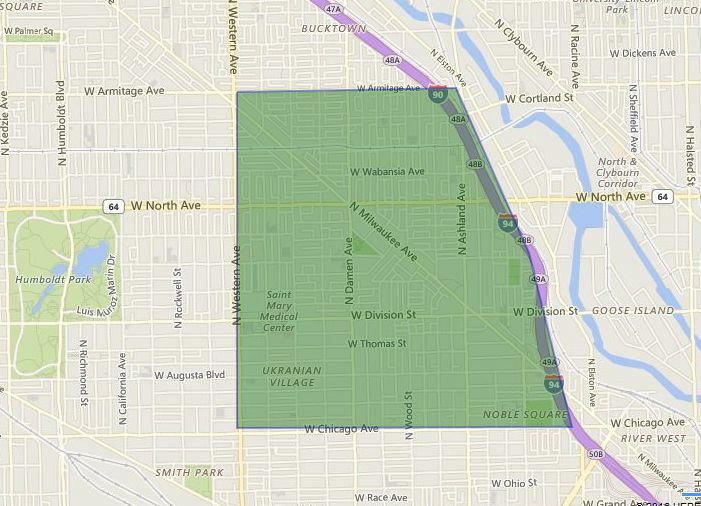 The target area west of 90/94 in West Town is in play including parts of Bucktown, Wicker Park, Noble Square, Ukrainian Village and East Village. 97 single family homes have sold in the map area above from January 1st to November 30th of 2016 in the shaded area shown. 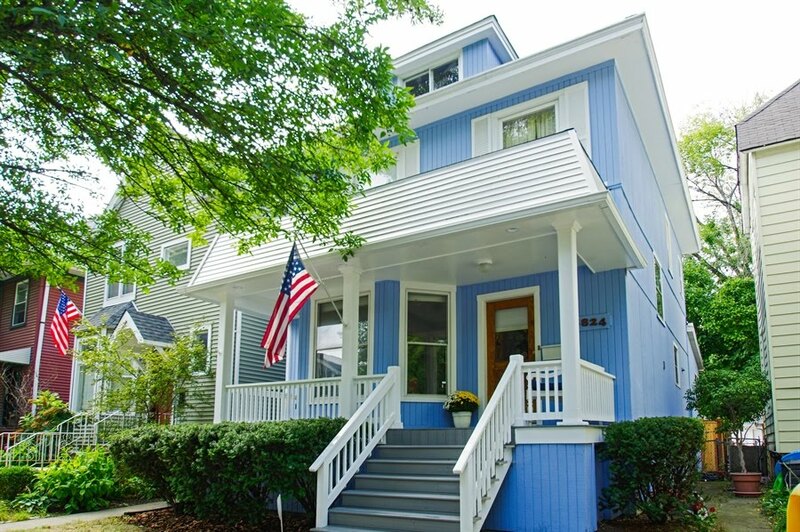 The median price is just over $1,00,000 for a sold house. The highest priced sale this year is a modern new construction stunner at 1763 W Wilmot sold at $3,800,000 (cash). 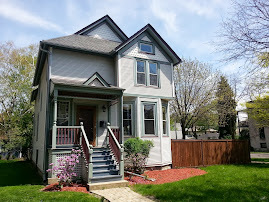 The lowest priced home sale is 1468 N Ashland for $300,000 (cash). 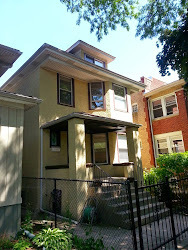 The odd one story residential property was bought by a development brokerage. 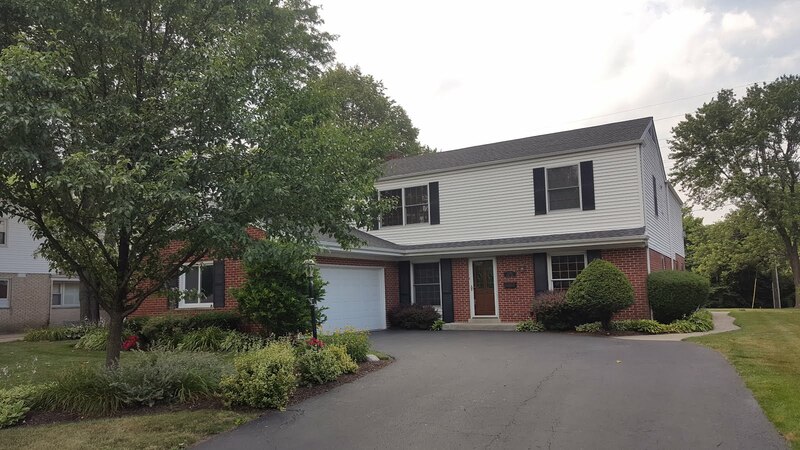 50 of the sold 97 homes closed for over $1,000,000. 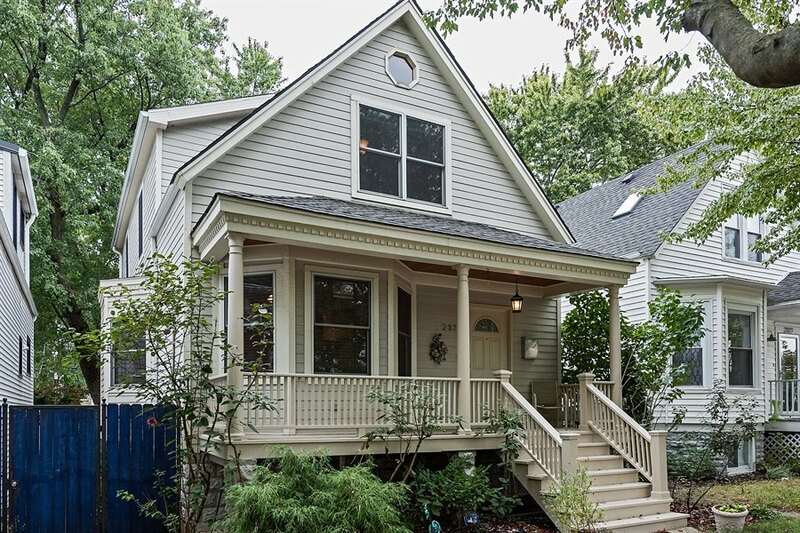 In 2012, 104 single family homes closed with a median price of $700,000. 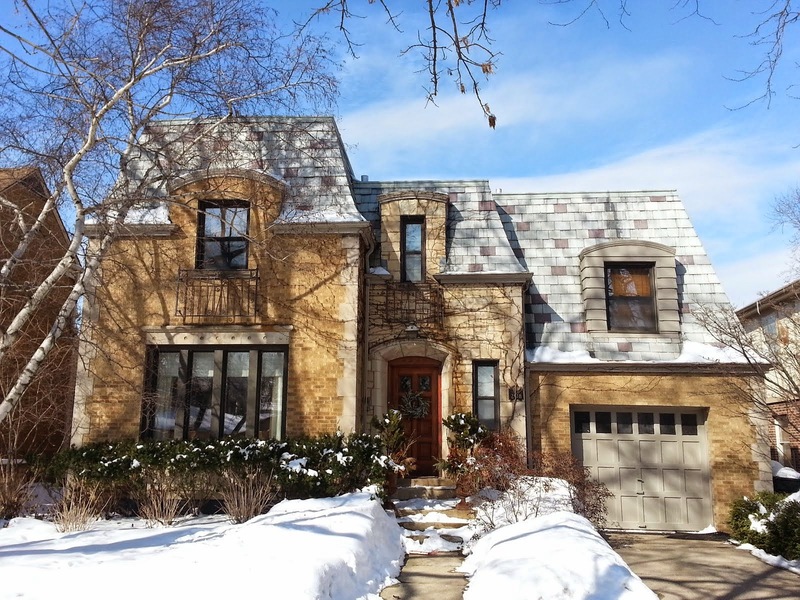 Median price is up $300,000 from 2012 to 2016 in the West Town area shaded above. Here's a flashback video to 2010 a couple years prior to the price explosion. Lots of units were getting sold and purchased at bargain prices. 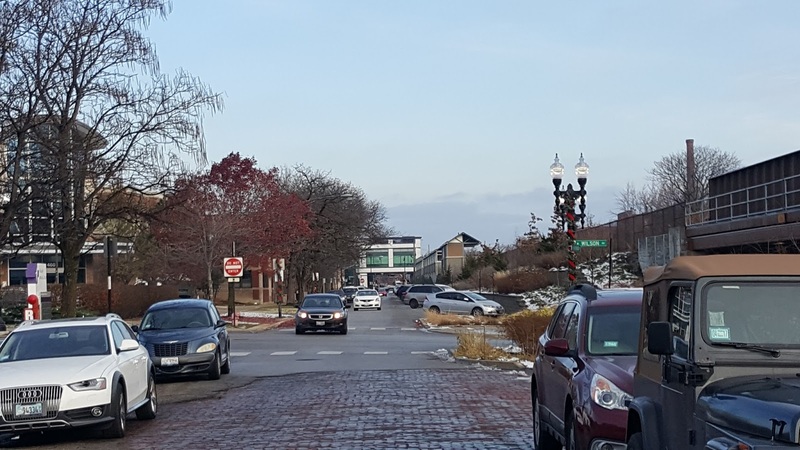 Condo unit sales in West Town began to rival those of high density Lake View. Enjoy!